Special men's compression socks with 1520 mmHg support legs and enhance circulation. 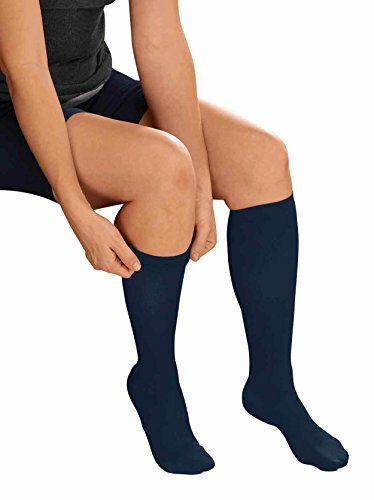 Compression socks have graduated pressure at ankle that decreases through midcalf leg to help reduce fatigue, aching feet, swollen ankles and vein discomfort. Compression support socks are machine washable nylon, Lycra, spandex; USA. Specify Size: Medium (7 1/210), Large (10 1/212 1/2), XL (1315).